Tolerance - How Do Shaivites Regard Other Faiths? Religious beliefs are manifold and different. 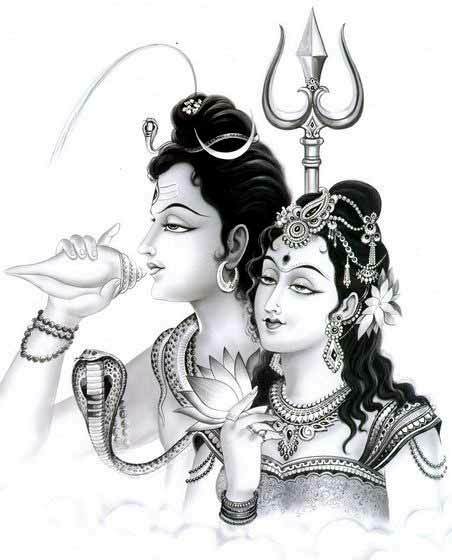 Shaivites, understanding the strength of this diversity, wholeheartedly respect and encourage all who believe in God. They honor the fact that Truth is one, paths are many. Aum. Since the inner intent of all religions is to bind man back to God, Shaivite Hindus seek not to interfere with anyone's faith or practice. We believe that there is no exclusive path, no one way for all. Shaivites profoundly know that God Shiva is the same Supreme Being in whom people of all faiths find solace, piece and liberation. Nonetheless, we realize that all religions are not the same. Each has its unique beliefs, practices, goals and paths of attainment, and the doctrines of one often conflict with those of another. Even this should never be the cause for religious tension or intolerance. Shaivites respect all religious traditions and the people within them. They know that that good citizens and stable societies are created from groups of religious people. Shaivite leaders support and participate in ecumenical gatherings with all religions....The Vedas explain, 'Let us have concord with our own people, and concord with people who are strangers to us'"- Satguru Sivaya Subramuniyaswami, Dancing with Shiva. "Hindus never claim that they are the 'chosen people'. They lay no claim to superiority over the faiths but declare equality among all faiths. If we believe that every one of us can realize God in our own way, then we also have to accept that our way to God cannot be the 'only' way or the 'best' way. Every individual has or her own way to God, and that is the right way for them. Moreover, it is not right to force our beliefs on another....It is common to find various sects [of Hinduism]....all worshipping together." Kerry Brown, ed. The Essential Teachings of Hinduism, p. 199. "Never quarrel about religion. All quarrels and disputes concerning religion simply show that spirituality is not present." Swami Vivekananda. The tolerance of Hinduism is well established in the history of the Indian subcontinent. For centuries, in fact, for millenniums, multiple religious traditions flourished in India. Hinduism was not always the most favored or the most appreciated. Yet, Hinduism survived in the same land that witnessed the birth of other religions that were opposed to it and the invasion of more aggressive, destructive and violent religions. They bear testimony to the strength of Hinduism. A Hindu may not appreciate any faith that degrades his own, but he is not easily provoked to castigate it or indulge in violence to vent his displeasure. Since its independence, India witnessed many incidences of communal violence. In all such cases, the religious intolerance of Hindus was the least contributing factor. Jayaram V.